Moikka and happy Friday to you! I had the pleasure to be guesting at the Elizabeth Craft Designs blog again this month and I created a double tutorial for the post. You can see the original post here (link). There's a card, this card, with step by step instructions and a layout with a video, which I shall blog here in my own blog tomorrow. 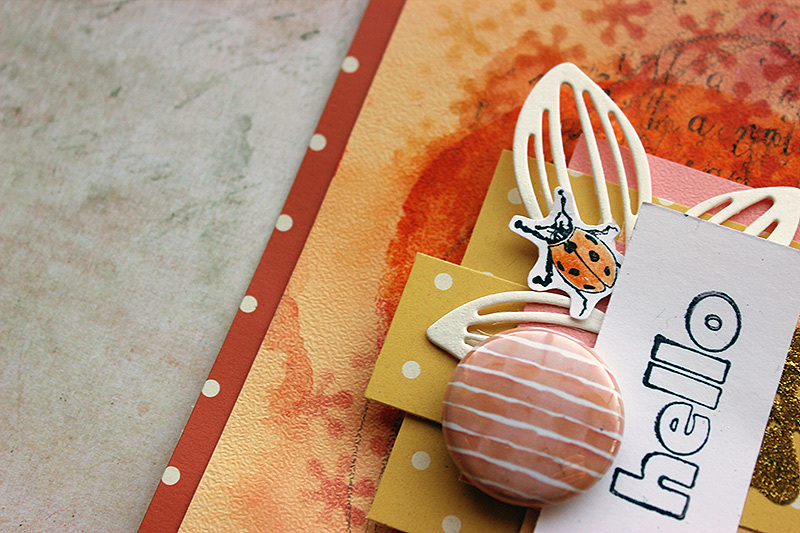 Both of the projects feature peachy, warm summer colors and lady bugs! And naturally summer project needs some shine, too, to remind of the glorious the sun. For the glimmer I used the Microfine Glitter. 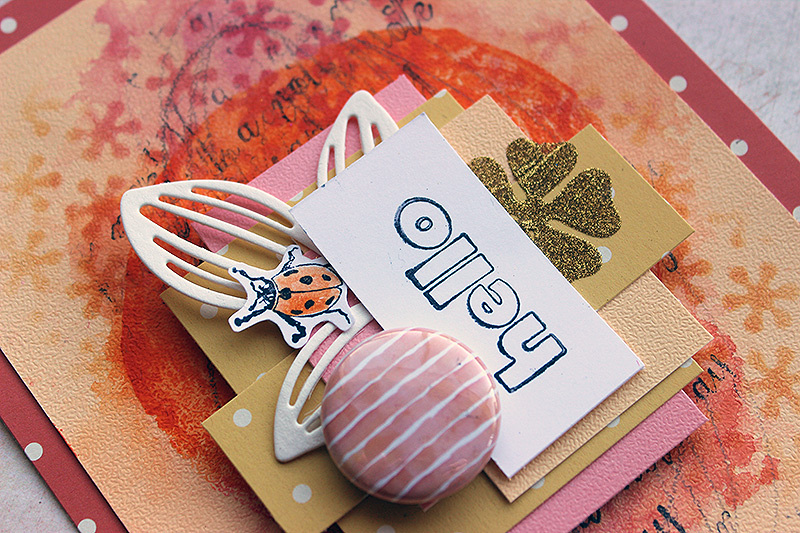 The background for the projects is done using a GelliPlate, an embossing folder and some acrylic paint. Well, there's watercolors and stenciling, too. 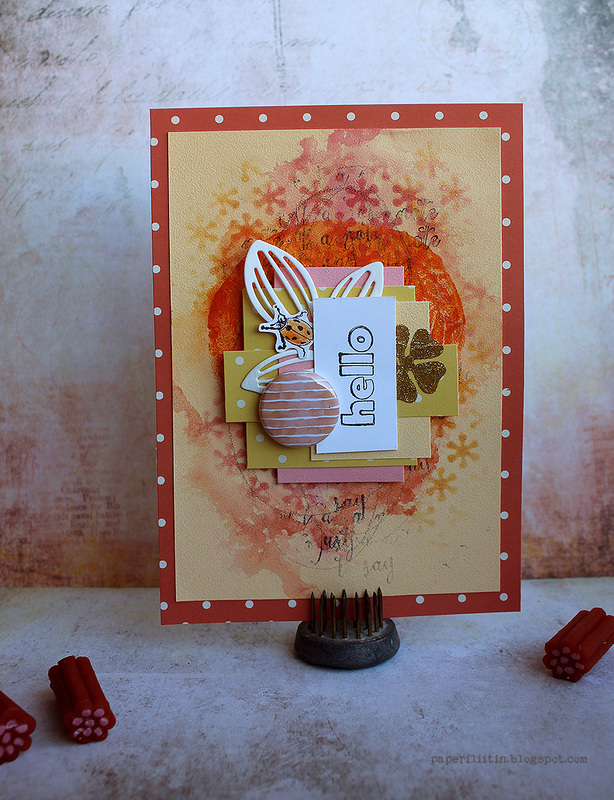 It was fun to do a step by step again but I must admit that I actually did the layout first and then turned the same steps into a card! 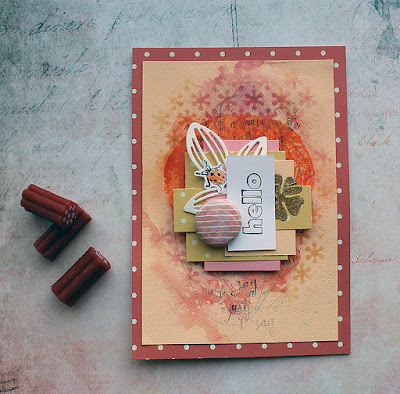 It takes just eight easy steps and you can create a card like this. The amount of steps is almost equal when turning the same tutorial into a layout. Naturally the surface is a bit bigger, at least if you're working on a 12x12" sheet, but otherwise the steps are the same. First adding the acrylic paint, then the watercolors and so forth. 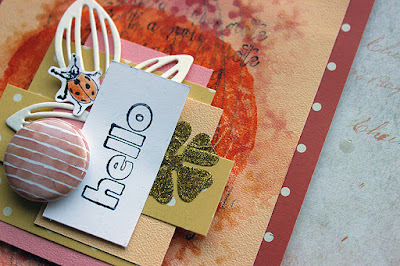 If you wish to see the tutorial, please visit the Elizabeth Craft Designs blog (link). Thank you for popping in today! Wishing you a pleasant weekend!